However, if there’s one thing that’s continually proven by my exposure to films of this age, it’s that even the classics can be scrutinized. It’s the Thanksgiving Day Parade, and some random guy claiming to be the genuine Kris Kringle decides the parade’s drunkard Santa of his duties. Later on, the same man takes it upon himself to be the resident Mall Santa at Macy’s itself. Affiliate Doris Walker (who pushes her slightly cynical brand of realism on her daughter and romantic partner) questions Kringle’s sanity, and in doing so accidentally sets off a series of events that puts all eyes on the man’s trial to prove himself the real thing. There are one or two scenes that showcase some weird Values Dissonance, and the political aspect that gets raised in the second half is a bit…questionable, to say the least. The conclusion to events feels a tad rushed, though given the nature of the plot I couldn’t really think of a way to end it better myself. 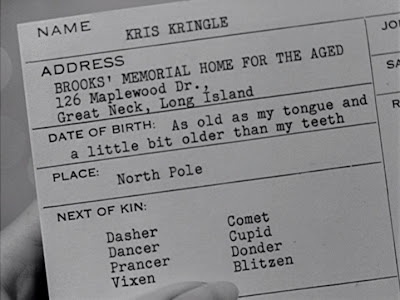 One thing I do appreciate about this story is that, unlike a lot of other “prove Santa real” plots, it remains ambiguous even in the very end just how legit Kris is. Not only does this strengthen the theme of having faith by leaving it up to the audience to do the same, but helps avoid some logical complaints that are pretty common in Santa stories. 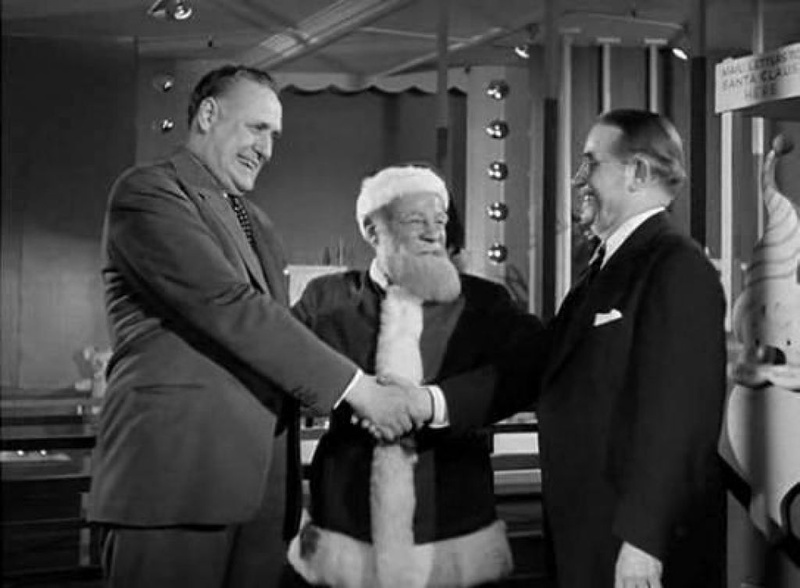 Edmund Gwenn’s Santa has all quintessential elements a good Santa needs. He’s wise, kindly and harmless, but not so much so as to seem too perfect and boring. His sense of humor shines through in nearly every scene, and there’s not an ounce of cynicism about him. He takes every opportunity to push boundaries, but it’s all in innocent fun. The only real problem with him is, like the rest of the cast, his screen time is all over the place. This may be sort of an odd complaint, but the movie seems really unsure what characters it wants to focus on. 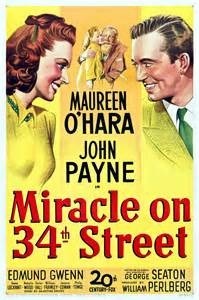 For someone who gets top billing, Maureen O’Hara is surprisingly absent for big chunks of the story. It feels like her character arc wasn’t given quite the amount of attention it warranted. Other characters like the antagonistic Sawyer feel like they lack decent motivation or conclusion, and Kringle’s young friend Alfred is at best a glorified plot device. The only characters that I feel got just the right amount of presence are Susan and Gailey. Like I said, it’s a weird thing to complain about, but I couldn’t help but feel the plot led to the cast being slightly bloated and unfocused. Unlike a lot of the “All Time Classics” I’ve looked at, this movie doesn’t quite check all of my ‘Nigh Perfection’ boxes. Though it’s problems don’t at all feel like the result of poor writing, and it is a Christmas staple for a reason, they’re still problems. It’s heartwarming and timeless, but not exactly flawless. Posted on December 25, 2014, in Movie Reviews, Other Movies and tagged Christmas. Bookmark the permalink. 2 Comments. I’d be interested in reading your review of the remake. I prefer the new version, but that says more about me than the film! I will certainly take a look at it sometime. Not sure I’ve actually seen that one yet.